The A series CP printers offer you a fast, reliable, versatile printing solution that meet the stringent product specifications required by your customers in the printing and mailing market. 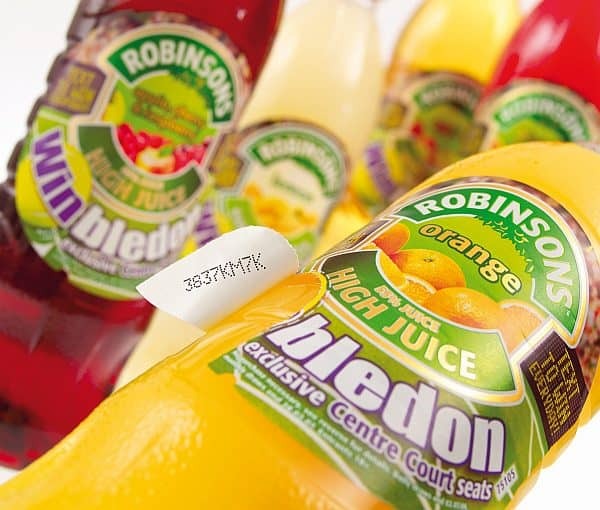 Delivering precise print every time they print text, numbering, barcodes and logos in fixed and variable formats. Ideal for use in web and sheet printing, plastic, cards, postal systems and bindery production lines for traceability, promotional games printing and personalisation for products such as labels, tickets, security products, post and games cards. 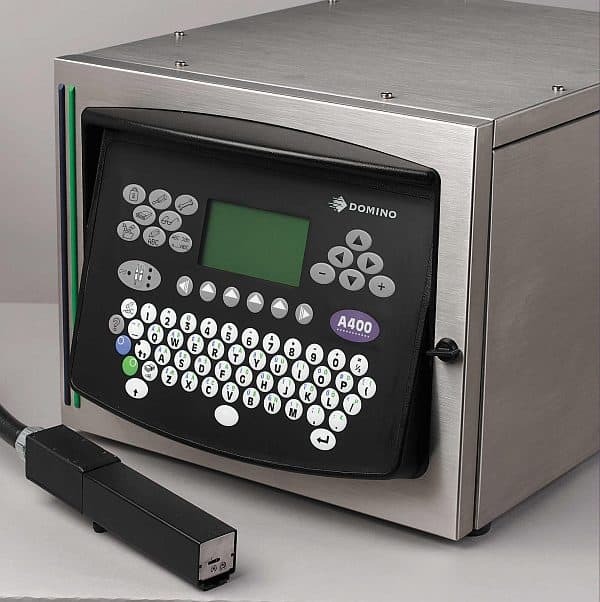 These versatile printers, with low cost of ownership and running costs, are easily integrated into new and existing production equipment as part of a total solution, or can be used with Domino’s EditorGTcontroller as a complete integrated package. Domino’s SureStartprint head gives you market leading start/stop performance and the automatic self-cleaning cycle allows you to deliver maximum productivity with minimum operator intervention. The print head technology provides consistent drop placement allowing you to continuously deliver precise, high quality print. The A series CP printers use continuous inkjet technology with fast drying inks that have excellent adhesion properties on coated and uncoated media, plastics and polythene wrap. High Reliability – the automatic self-cleaning cycle ensures the print head is always available, guaranteeing reliability and delivering maximum productivity with minimal operator intervention. Versatile – the print head technology provides consistent drop placement and fast drying inks dry almost instantaneously allowing you to continuously deliver precise print quality. Modular systems – the tough, heavy duty A300 CP is suitable for single head applications and can be installed on virtually any production line, whilst the compact design of the A400 CP allows it to be used as multi-head stackable printer units where space is limited. Simple to operate – with a fast make ready time, intuitive control and data entry software, and just one button controlling the complete start up and shutdown process. Easy to maintain – the SureStart print head has a truly automatic cleaning cycle requiring no manual head cleaning even during extended shutdowns. Ink and makeup can be added at any time eliminating the need for line stops for refills and improving availability.